How will you plan your sessions so that they meet the needs of everyone involved—the people in it, you and your team, and your organization? Train-the-trainer. Use our materials to prepare community health workers (CHWs) to teach about heart health. In this situation, it is common for a trained CHW to train new CHWs by following our 12- session manuals. Community education. CHWs use our materials to teach and motivate community members in heart health. They commonly do this by using the first 11 sessions of our manuals. They may also screen for risk factors, such as high blood pressure or obesity. Community education and clinical measures. CHWs work as part of a health care team to teach and motivate patients in heart health using materials from sessions 1–11. The team helps patients manage their risk factors and be heart healthy. What will happen as a result of your program? What will you have to do to get the results you want to see? It is important you can clearly answer these questions. This will help you to build a roadmap for your program. It will also help you to create a program that works for both the people in your program and your organization. One way to answer these questions is through a logic model. This helps you think about resources, activities, outputs, outcomes, and impact. Take a look at the CHW Evaluation Toolkit for a step-by-step guide to creating your own logic model. We recommend using the 12-session format because it covers 10 heart health topics, includes a review and graduation, and teaches community health workers how to evaluate their program. The most basic way to use our heart health materials is to use the whole package—a 12-session manual which includes materials, activities, and handouts. The manual was originally designed with 12 sessions because this format is comprehensive. All of our heart health topics are covered and CHWs learn to evaluate their programs. Though teaching all sessions takes longer than teaching just some, you will have more time with the people in your program and have many opportunities to help them make behavior changes. Sessions 1 to 11 train CHWs on heart health. They in turn use the same manual to teach heart health in their community. Session 12 is on evaluation, and it is specifically for CHWs to evaluate their own heart health program. Most sessions last about 2 hours and are commonly presented once per week. Session 1 and 2 generally take less time (between 1 and 1.5 hours). Session 5 on cholesterol and session 7 on diabetes last a little longer than 2 hours because there is more detailed information. To run all 12 sessions, plan on at least 25 hours. This is commonly done over the course of 12 weeks. In Florida, Big Bend Area Health Education Center would regularly teach all 11 sessions to groups of senior citizens and public housing residents. However, when asked to give one-time presentations, such as at churches, they would teach just one session based on the churches’ needs. Using a 12-session format is one way to teach others about heart health. A benefit of doing all sessions is that you will have more time with participants. This gives you more opportunities to help your participants make behavior changes. Use certain sessions. All sessions are designed to work on their own or together with other sessions. For example, if your program focuses on living healthy, you can use Session 3 on physical activity and Session 6 on healthy weight. However, keep in mind that Session 1 lays the groundwork for the rest of the sessions. It provides an overview of all the sessions, goes over group rules, covers heart health risk factors, and introduces a fictional family that is included in each session. Use parts of sessions. Instead of covering a whole session, you can pull out certain pieces, materials, and activities from them. You can also combine content from two or more sessions. Be sure to adjust time as needed. Condense sessions. Do this if you want to teach an abbreviated version of a whole session. Centro San Vicente in El Paso, Texas, used 8 of the 12 sessions from Your Heart, Your Life. Why? It was hard for people to attend more than eight sessions. At times, they would also teach just one session to people who could not sign up for their whole program. 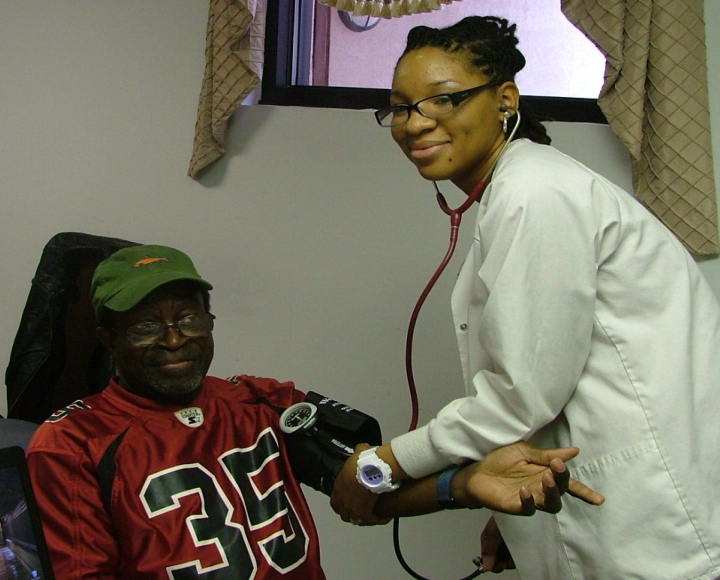 The Phoenix Housing Authority conducts walking clubs in both of their locations. The goal is to get participants walking at least 1 hour per week. Everyone in the walking club receives a pedometer and logs their walking activities. There are heart health resources in the appendix of the manuals. There you will find many examples of ways to add to your program. They include using materials from The Heart Truth campaign, starting a walking club, creating healthy eating displays, and doing cooking demonstrations. Use healthy weight tools from the Aim for a Healthy Weight website or download parent handbooks from the We Can! website. Also, check out our heart-healthy recipes on the Keep the Beat website. The recipes are easy to make and inexpensive. Be sure to think about the local customs and traditions of the people in your program. Add examples and materials that include these. This not only helps people to relate and learn but also shows them that the program was designed just for them. There are many other creative ways to add to the heart health materials. Use the ideas on the handout Creative Ideas for Your Heart Health Program (PDF, 428 KB) to get your creative juices flowing. At the Ohkay Owingeh Pueblo in New Mexico, participants would make cookies with oil instead of shortening. Tasting was believing! Need ideas to keep your adult learners interested? Check out Using Adult Education Principles in My Program (PDF, 191 KB). What ideas do you have for working with adult learners? How do they learn the best? These are important questions to ask yourself before you start teaching. Your answers will help you create a heart health program that has meaning for the people in your program. The way in which you share information is key to program success. Give them a chance to share what they already know or have experienced. Then let them share how it relates to heart health. Make sure that what you are teaching has meaning for the people in your program. Adults learn more when they can see how something relates to them personally. Let them practice what they have learned. They should be able to use what they learn in their own lives. Allow time for adults to think about creating steps to incorporate this knowledge in their daily lives. For example, have each participant fill out the weekly pledge at the end of each session. Think about how you learn. When you were in school, which classes did you like best? Why? Often, the classes that people liked best are the ones where the teacher was fun and interested in the subject or made you feel welcome and special. Remember that people have different learning styles. Try to provide opportunities in each session for these styles. For example, some people learn best from listening to others, some learn from discussions, and some learn through seeing visuals. You can find more tips for working with adult learners in Using Adult Education Principles in My Program (PDF, 191 KB). Using adult learning ideas can add time to your session. However, you may find that most people do not mind staying longer if your program engages them, is fun, and is specific to their lives.